You are a freelancer and you are searching for a tool which helps you to manage your business? Well, then don�t look any further! 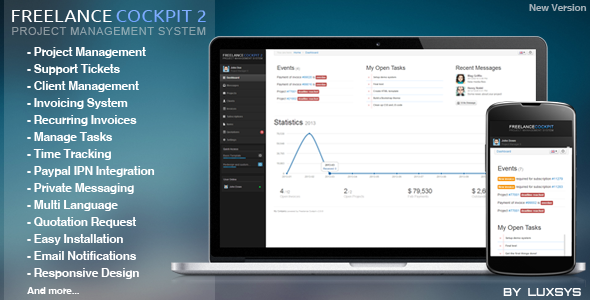 The idea behind Freelance Cockpit 2 is to provide a tool for every freelancer to bring all important informations together. On all projects you can upload any kind of files, like a screenshot of the mockup you made for a new web project and share them with your client. 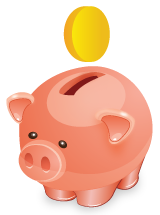 Your clients can view the status of their projects and invoices. Creating and sending invoices was never that easy! Get email notifications on new messages, project assignment etc. Control the access of your agents to the different modules. Quickly open a project or start/stop the timer using the Quick Access widget. Never loose any data again! As soon as an update gets released, you can update your application within the webinterface. Very easy installation, no programming skills required. Full language support with language files. The quotation request form can be accessed without login, so you can send the link directly to potential clients or just add the link to your corporate website. Send private messages to admins and clients. Your clients can easily pay invoices via Paypal. Paypal subscriptions for recurring invoices. You can change the CSS styles directly from the settings page. Your server need to meet the following requirements in order to run Freelance Cockpit 2.